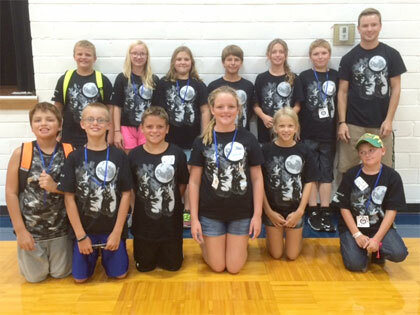 The sixth graders at Exeter-Milligan are off to a great start this year. This group of students hit the ground running and it has been amazing to see what they have been able to accomplish so far this year. Throughout a typical school day, the students participate in lessons and activities in spelling, reading, math, language, science, social studies and writing. We have covered a wide range of material, such as the solar system, chemistry, ancient civilizations, fractions, decimals and much more. Students also regularly take part in physical education, art, band, choir, guidance, library and keyboarding. The students are also very excited about starting the health program, which will begin in January. Even though students are busy learning many different academic skills, we are also focusing on learning many social and organizational skills that will help prepare them for the junior high level. This group has also had the privilege of being involved in many fun activities so far this year, such as Eclipse Day, Red Ribbon Week, Pep Rallies, and Homecoming festivities.